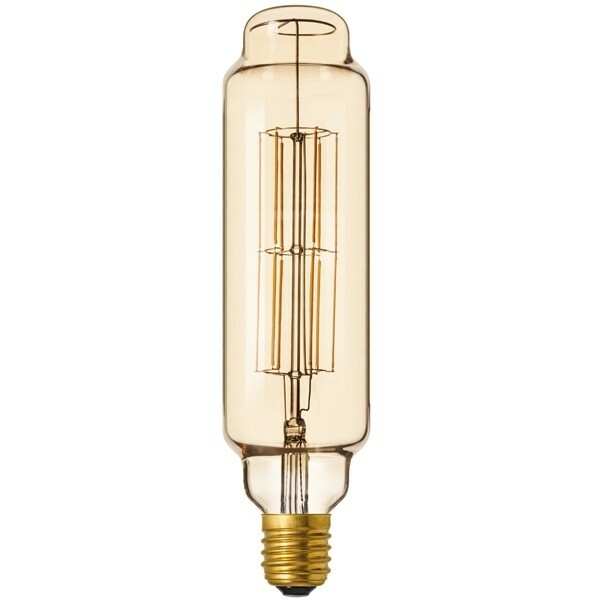 Part of our Giant Range of Vintage LED bulbs, the giant Tower bulb has a chic design. When used with one of our purpose made cord sets it makes a big design statement . This gives an ideal aesthetic in any application that requires a Vintage of Industrial appearence such as , clubs, pubs, bistros, and restaurants. Tower has a Gold finish and comes with a 12 straight filament LED configuration.